Racial profiling, discrimination, prejudice, stereotyping, and whatever else you want to call it unfortunately exists in every corner of the world. It’s one of those strange things that we all know we shouldn’t do, yet all seem to do anyway. Okay, fine, you don’t have to admit it but you know it’s true. Try as you might, no one is perfect. America, a nation of immigrants, has a long history with these issues. Although I’ve witnessed my fair share of racial prejudice and discrimination, I’ve never actually been a target of it (this probably has something to do with my white protestant young brunette female characteristics). That is, until my recent trip to Croatia. As a Balkan nation full of angst and anger toward different ethnic minorities and border issues and post-communist genocidal wars, Croatia is not the most politically-correct place in the world. But they’re trying. And don’t get me wrong, I enjoyed every single minute of my tript here, except for the harassment at the border crossing. A little background first. It’s pretty damn near impossible to get from Shkoder to Croatia directly. Thanks to the war with Bosnia, Milsovic, the war with Kosovo, the creation of Montenegro, and everything else, there are high racial tensions in this region. So there are no direct buses or trains that run from Albania to almost any of its neighbors. That means when I want to get out of the country for a vacation I have to take a bus to the border crossing, make it past customs, and find another ride on the other side (by hitch-hiking, finding a taxi, commandeering a bus, or whatever else I can think of). Not the most relaxing or enjoyable way to travel. But hey, I’m a poor PCV I do what I have to. Anyway, so now that I’ve been in country for more than a year I’ve made more connections and integrated with my community and all those other Peace Corps buzzword activities. So this time when I wanted to go on vacation I asked an Albanian friend of mine to drive me and some friends. 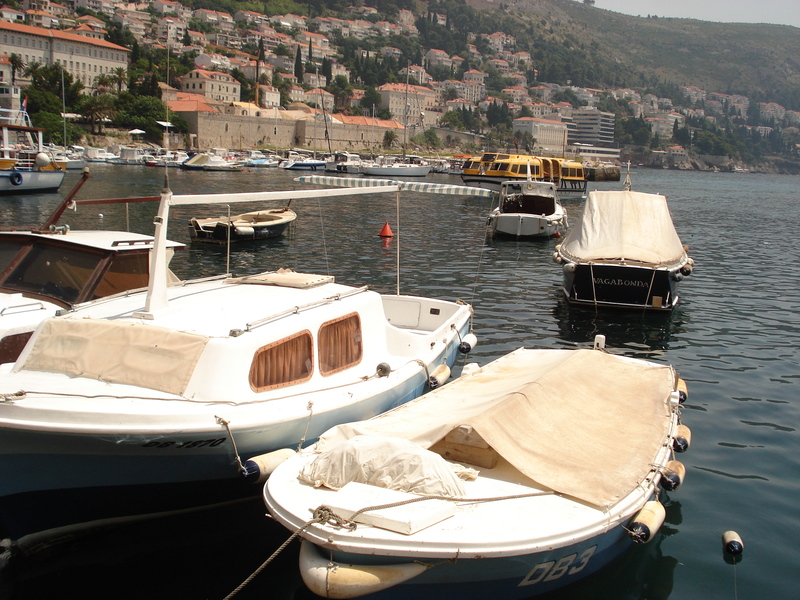 All the way to Dubrovnik. A 5 hour drive across two different borders. Personal taxi, door-to-door service all for the low low price of $60 a person. I’ll take it. Got to love Albania. This taxi-driver friend of mine is so well-intentioned, but so poorly informed and stuck in his Albanian ways that I just laughed to myself as I watched him pick up watermelons and newspapers and bottles of brandy “for the people at the border.” He knew it was going to be an issue for him, so he tried to preemptively solve the problem by bringing bribes. In Albania, that’s totally kosher and standard-fair. But this is Croatia. And on July 1st they will officially be a member of the EU so they’re trying to forget their shaddy past if you know what I mean. We passed the Montenegro border no problem. But then we got to Croatia. And the man in the boot took one look at our driver’s ID card and pulled him out of the car. He then proceeded to check every inch and crevice of this old beat up Mercedes. He took out all our luggage and search it. Then he took out all the seat and cushions. He dismantled the hood and the trunk. He got on a roller thing and went under the car too. Then he got a little camera wire gadget and sent it through the empty spaces along the underneath and sides of the car. This man was bound and determined to find something. He was 100% sure there was no way an Albanian would be bringing 3 American girls across the border without some kind of illegal drugs or contraband. Meanwhile our poor driver was doing the best he could to remedy the situation. “Quick Danielle, give me 100 euros!” he whispered to me in Albanian, which is exactly how this would have been fixed back in Shkoder. But the Croatia customs police took one look at his bribe and figured this man for suuuure has illegal things in his car or he wouldn’t be bribing us. So then our driver tries to give them the watermelon. And the brandy. And everything else he can think of. Thank god his first born son wasn’t on the scene. Needless to say after a solid hour of being interrogated and search and stripped of every single right and I can possible imagine myself as a citizen not only of the U.S. but of the world to have, we were released. Nothing was found. That’s right Croatia, non-criminal Albanians do exist. And I got to thinking. My poor taxi-friend new this was coming. He prepared for it and he still offered to take me to Dubrovnik regardless. He goes through life knowing that it will be harder for him just because of the nationality written on his passport. As for me, I thanked my lucky stars to be born in America. And now I can walk through life a little more aware of what it means and feels like to be blindly hated and targeted and discriminated against just for the color of your skin. Not something I ever wanted to experience, but definitely something that will stick with me wherever I go. Just flipped through some of your posts and this one caught my eye. I almost crossed paths with you in Croatia! 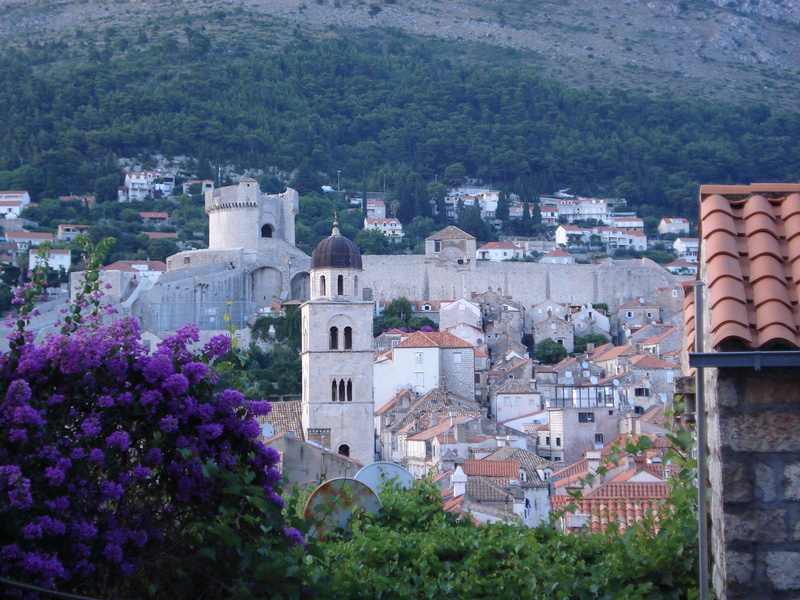 Went traveling there in June to Split, Hvar Town, Trogir, and Vis. 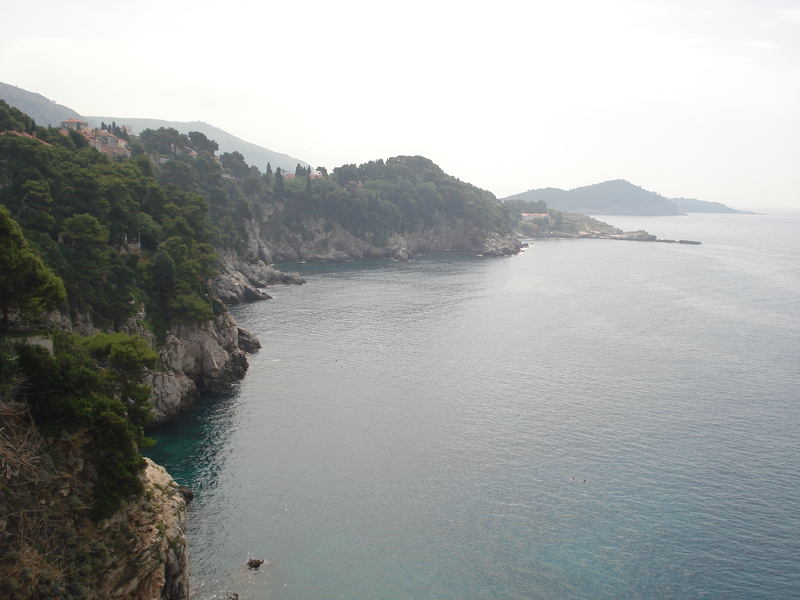 Didn’t make it down to Dubrovnik, but still pretty darn close for being across the globe! Hope your travels are safe and adventures wild!